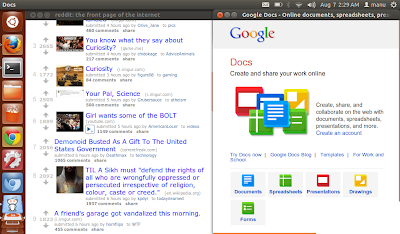 Ubuntu App Showdown contest was introduced more than a month ago by Canonical to encourage application development for Ubuntu in a big way. And the initiative is showing results already. More than 150 applications were submitted out of which, 133 has been qualified and made it to the final list. Judges will vote on the apps and will declare the winners very soon. Meanwhile, here's our list of top 15 apps (in no particular order) from Ubuntu App Showdown contest, which we think are the best of the lot. Read on. Nudge is nice little app that lets you set reminders in Ubuntu easily and intuitively. Reminders will appear as a notification at previously scheduled times. Nudge is really good when it works. 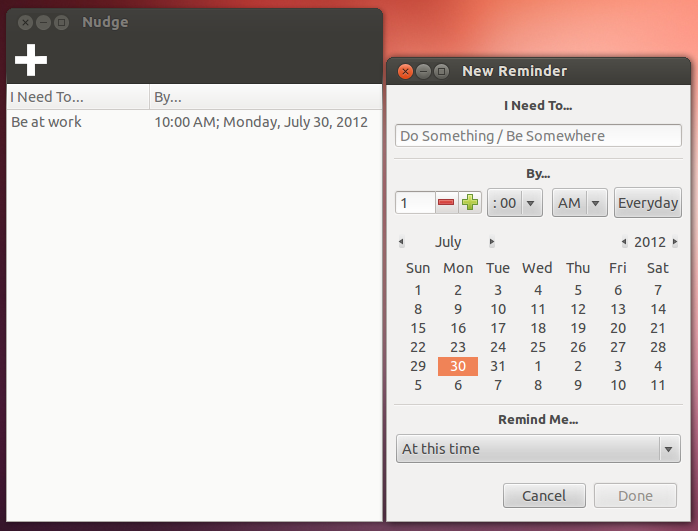 Do the following in Terminal to install Nudge in Ubuntu 12.04 and let us know what you think. 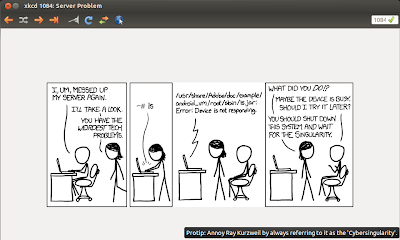 One of the many controversial decisions by Canonical during the last release cycle was to change the default Launcher action to never-hide from auto-hide. Unity Launcher Toggle is a simple app indicator for toggling the Unity launcher mode (fixed or autohide). Just do the following in Terminal to install it and launch the app from Unity dash after installation. blubPhone is a very interesting concept. 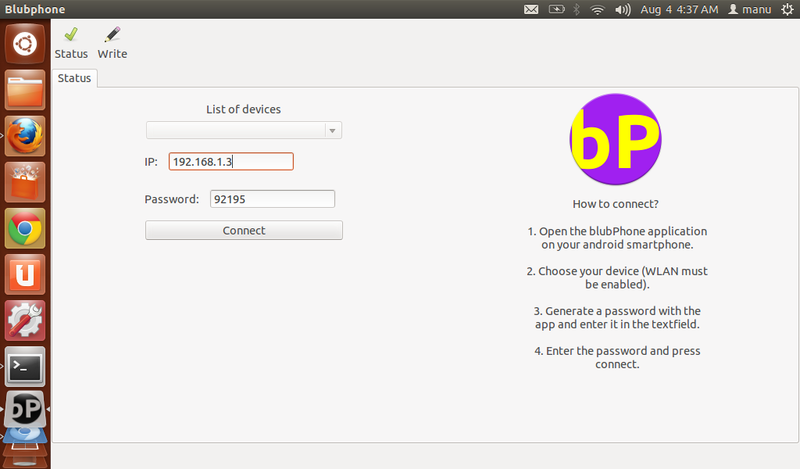 It lets you send SMS to your contacts (support for only Android based devices at the moment) directly from your Ubuntu. It even shows the entire contact list from your Android phone. The SMS will appear as if they were sent directly from your mobile phone. They even appear in your list of sent SMS on your phone. 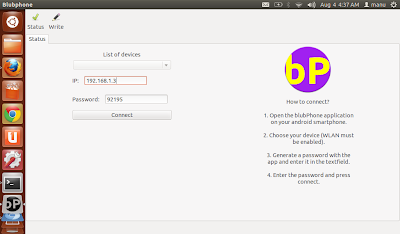 Now install the blubPhone application for Ubuntu by doing the following in Terminal. Rest is self-explanatory. 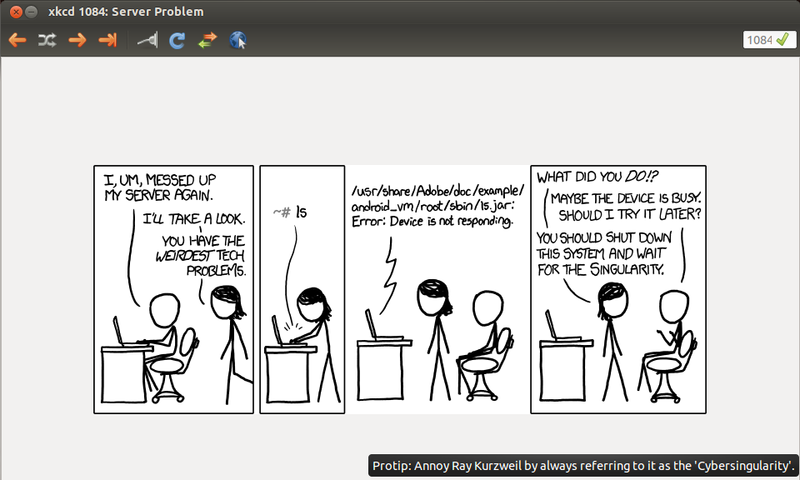 XKCD is fun and browsing XKCD comics endlessly using a native app is even more fun. 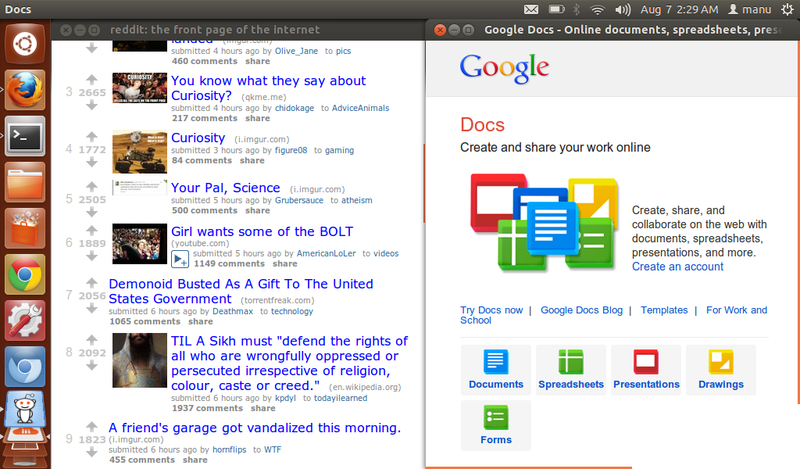 I don't know why there ain't no maximize window option by default, otherwise the app is just cool. Webbar lets you scan barcodes using your webcam. 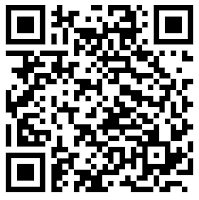 Simply start the app and place the barcode in-front of your webcam. If it reads the barcode successfully, a notification pops up saying "barcode successfully read and copied to clipboard". That's about it. 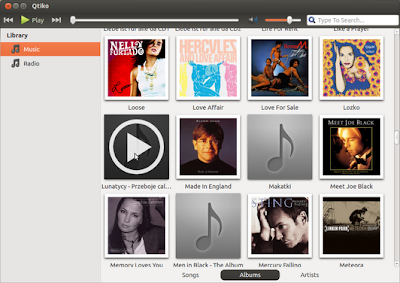 Qtiko is an interesting little music player for Ubuntu that really surprised me. I am aware of the fact that there are plenty of music players available and most of them pretty good too. But Qtiko is really simple, really light and quite a looker too. I am looking forward for future updates of this brilliant app. Do the following in Terminal to install Qtiko Music Player. 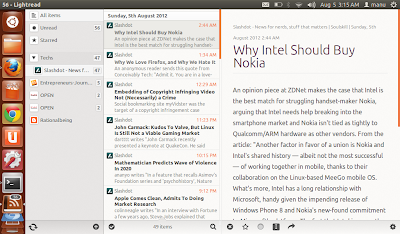 Light Read is *the* best RSS reader application I have come across in any platform. 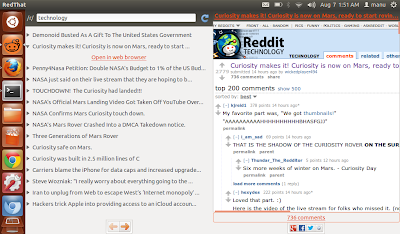 It is nicely laid out, easy to your eyes and comes integrated with social sharing capabilities. I might just start using my feeds once again because of this. Definitely a must try. 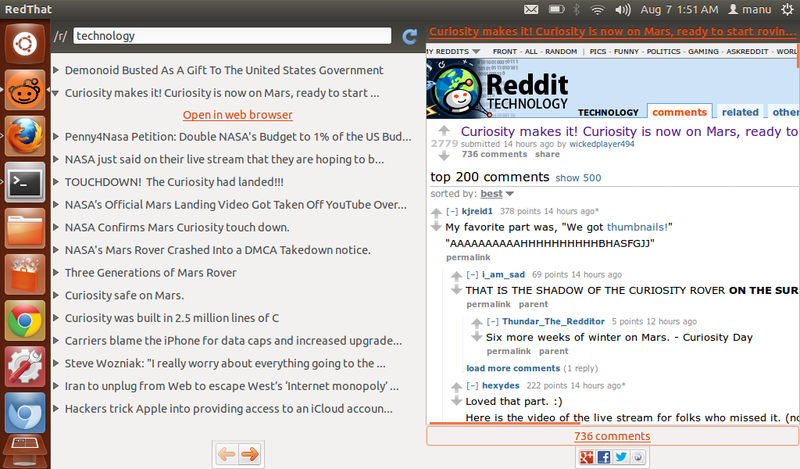 RedThat is a simple Reddit client for Ubuntu. RedThat may not be as fluid or functional as LightRead, it still get the work done. As you can see, I had to do a fair amount of scrolling (both vertically and horizontally) to use it properly in my netbook, won't recommend it for smaller screen devices. To install RedThat, do the following in Terminal. Fogger is an interesting new idea. 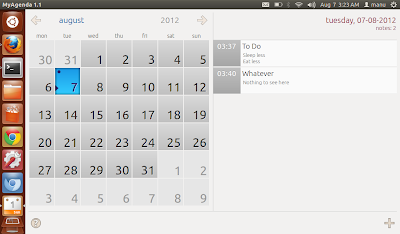 Fogger turns your cloud app into a regular Ubuntu desktop app. 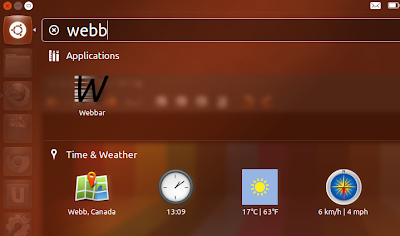 Fogger acts as a bridge between web apps and the Ubuntu desktop. Sounds crazy enough for you I hope. It actually works real well too. Try it out for yourself. 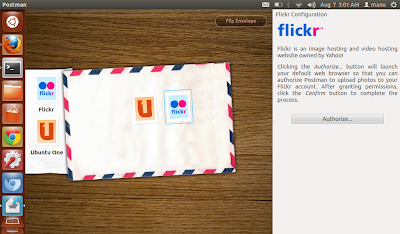 Postman is a simple app with an impressive new UI to batch upload images to popular websites and services like Ubuntu One and Flickr. UI is the highlight here. MyAgenda is your personal note taking app with capability for setting reminders. Again, simple app, brilliant UI. 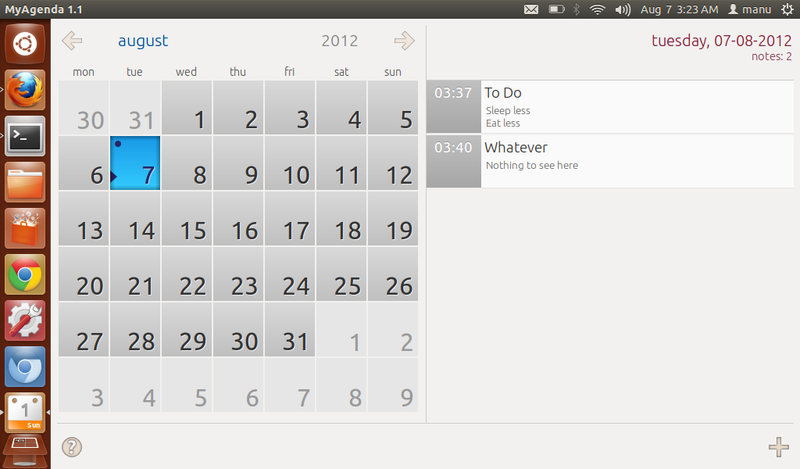 Hope it gets Google calendar integration soon. GWoffice is a desktop interface to Google Drive, mainly Docs. 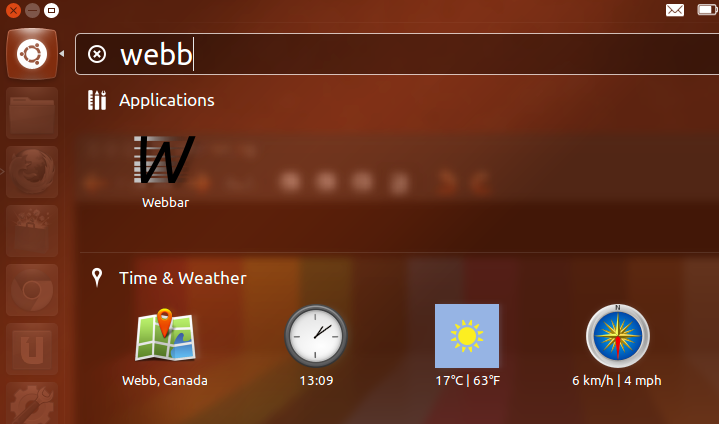 It offers basic syncing functionality for offline use and tight integration with your Ubuntu desktop. 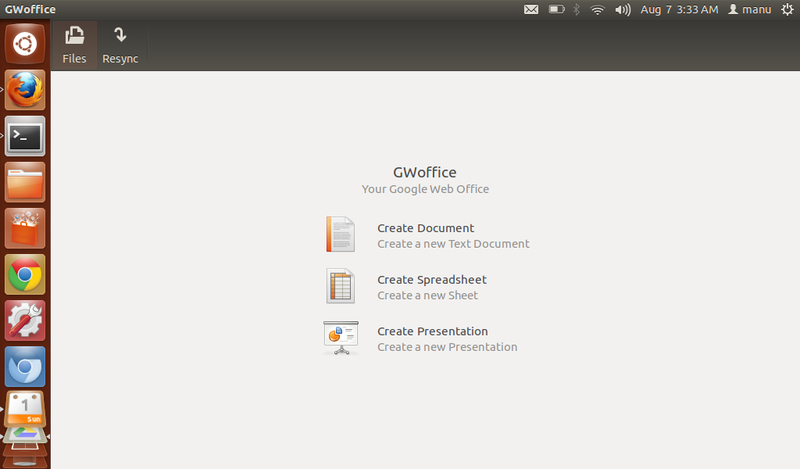 Worth a try for heavy Google Docs users. Follow the steps. NitroShare lets you share files with another computer on LAN using a simple drag and drop action. Haven't tried it myself yet though (don't have a LAN setup), but NitroShare is receiving rave reviews from users. And don't worry, it has a windows client too. 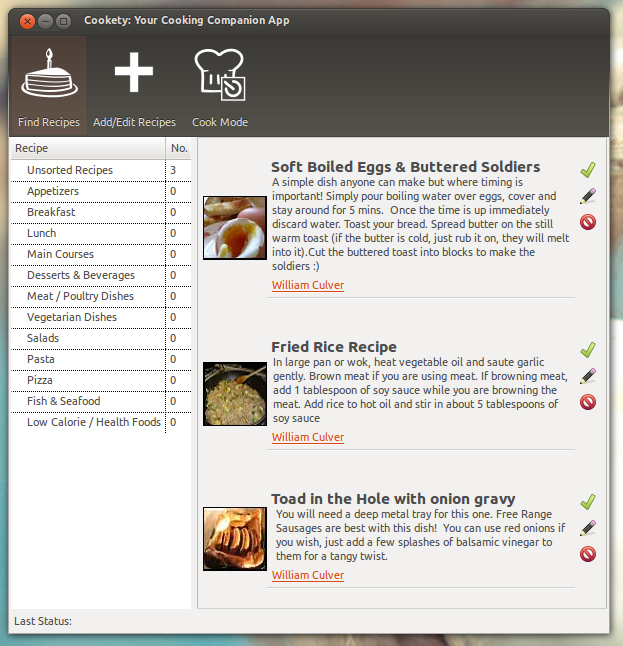 Cookety is a simple recipe manager and cooking timer application for Ubuntu. Not much of a cooking fan myself, this app has been included based on user reviews in other popular sites. 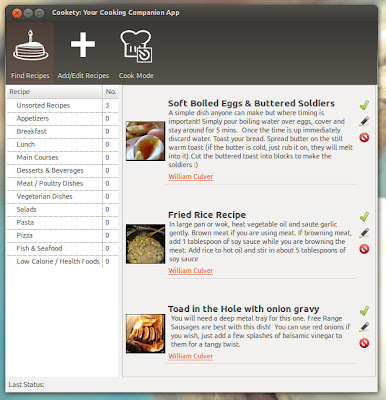 Download Cookety DEB file and double-click to install it. 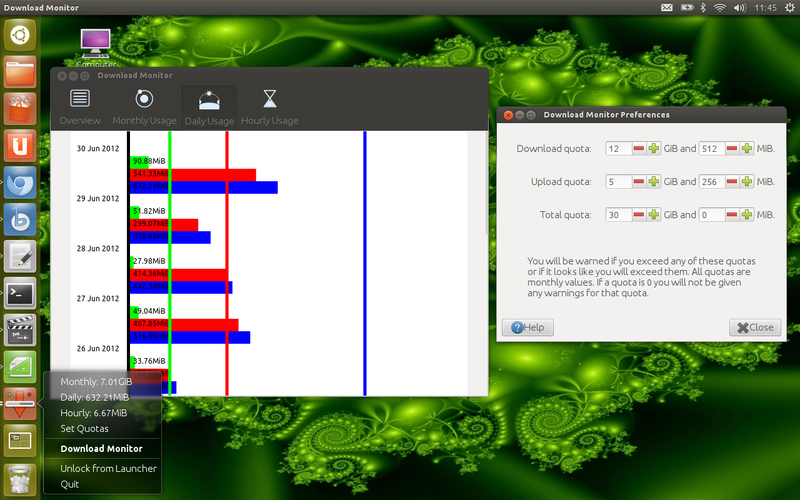 Download Monitor do just that, monitor your bandwidth usage (has graphs showing historic monthly, daily and hourly usage). Especially useful for people like me who use an "unlimited" broadband connection with a data cap. While you go for Linux installation fests and stuff, this is one application a lot of people ask for, at least in this part of the world. Well, here it is. 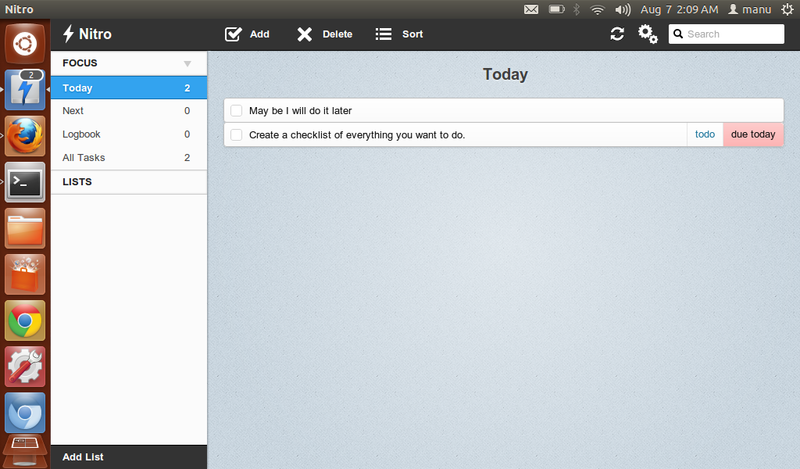 Bonus App: Nitro Task Management Application - NOT officially included in the Ubuntu App Showdown contest. 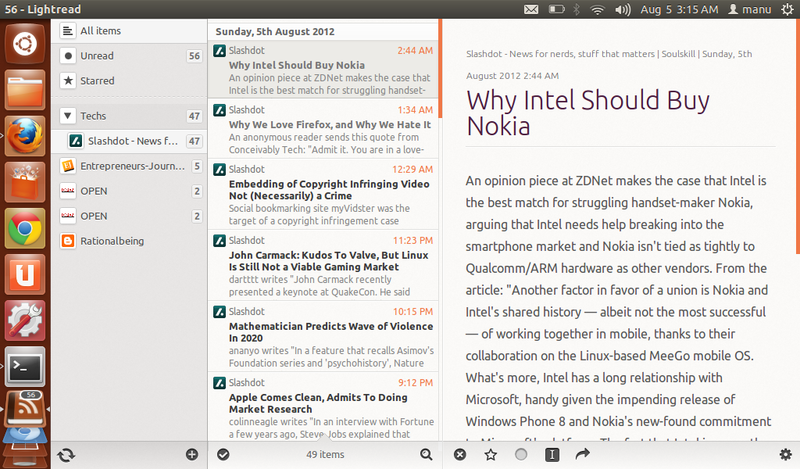 But this is such a well-built app with a clean, consistent UI and it is kind of a new-comer too. Nitro and Lightread (also a neatly designed app, as we have seen earlier) have been brought to you by the same developer. And finally, here's how you install it. Of course I haven't tested all 133 of them. If you think there is an app that deserves more attention, let us know, we'll keep this post updated. Thanks for reading.